Lejeune Hall is impressive, isn't it? And it's just one of the many impressive athletic facilities on the yard. 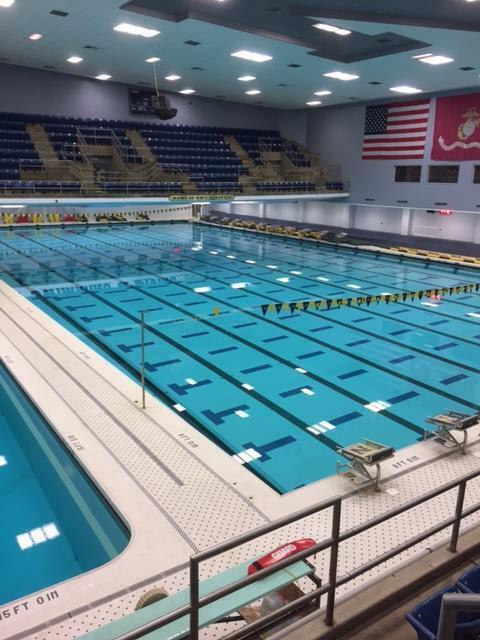 This fine swimming and wrestling complex is named after the 13th Commandant of the Marine Corps, Lieutenant General John Archer Lejeune, a member of the Naval Academy Class of 1888 and tt is the first building at the academy to be named for a Marine Corps officer.Built in for $13.5-million, the facility provides the finest facilities for all competitive swimming, diving and water polo events in intercollegiate, U.S. Swimming and Diving and Olympic categories. 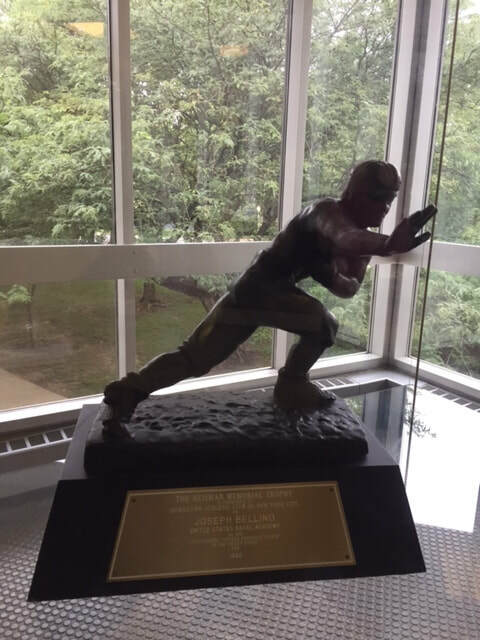 Upstairs, you'll find cases dedicated to past athletes, including 2 Heismans! They belong to Joseph Bellino and of course, Roger Staubach. You'll also find the Naisman for David Robinson, navy grad and famous basketball player. There's a case full of the Army-Navy footballs commemorating the yearly match, as well as a tribute to those Navy grads who competed in the Olympics.